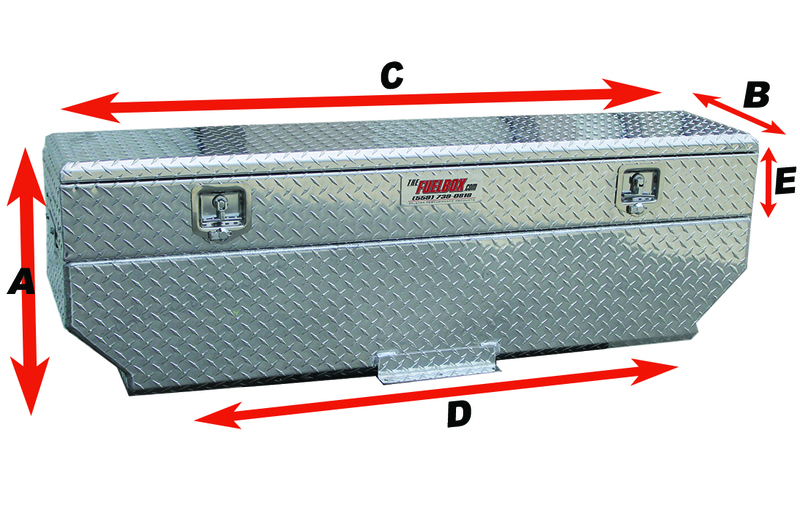 FTC60B 57* 20.5 in. 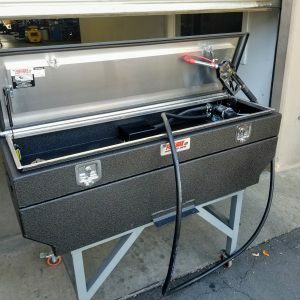 20 in. 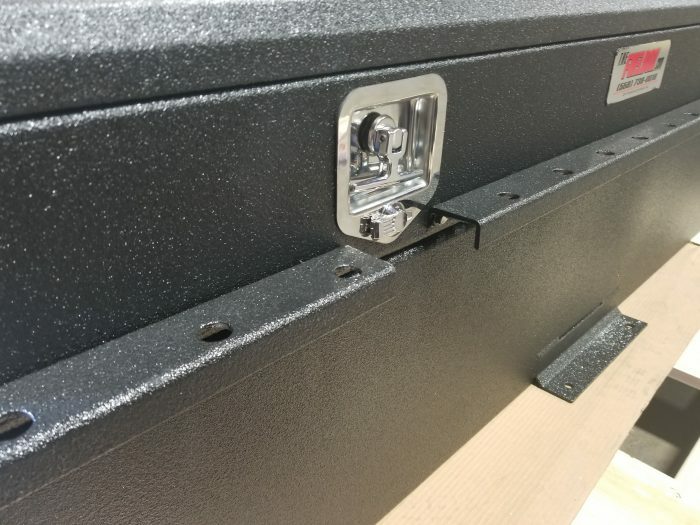 62 in. 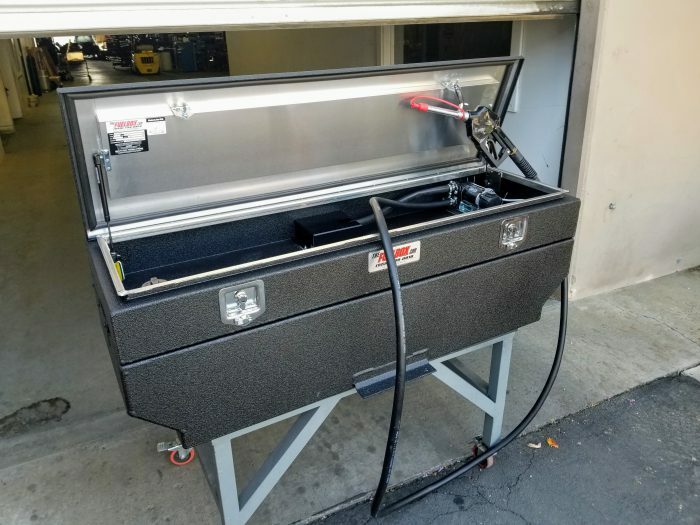 53 in. 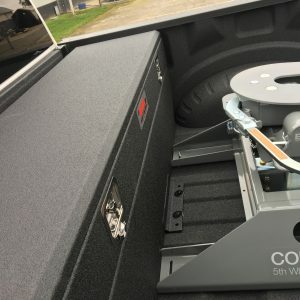 6.5 in. 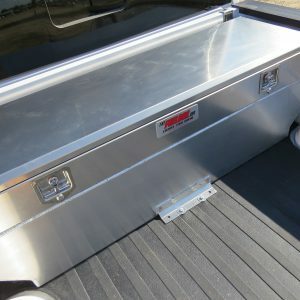 One of the most popular Fuelbox designs is the FTC60 and now we have made it taller for the newer and taller pickup beds. 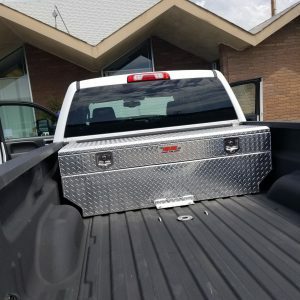 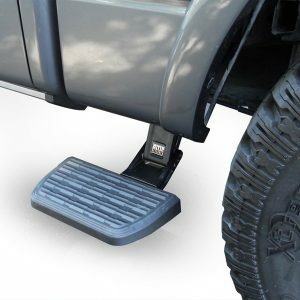 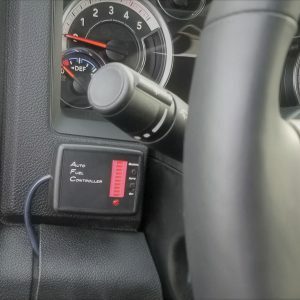 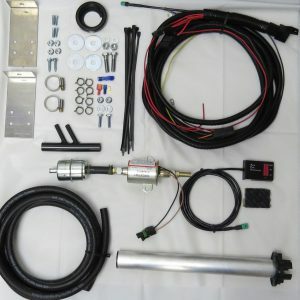 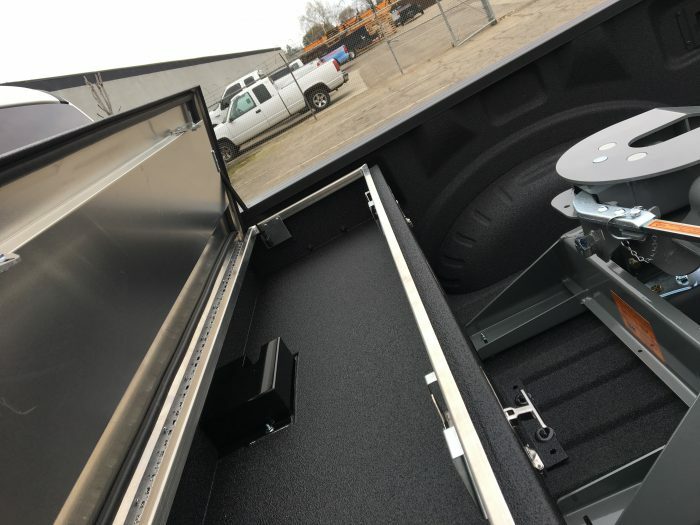 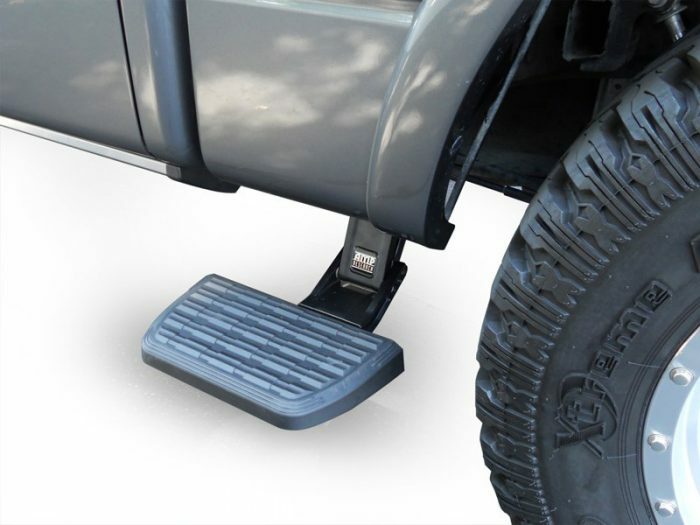 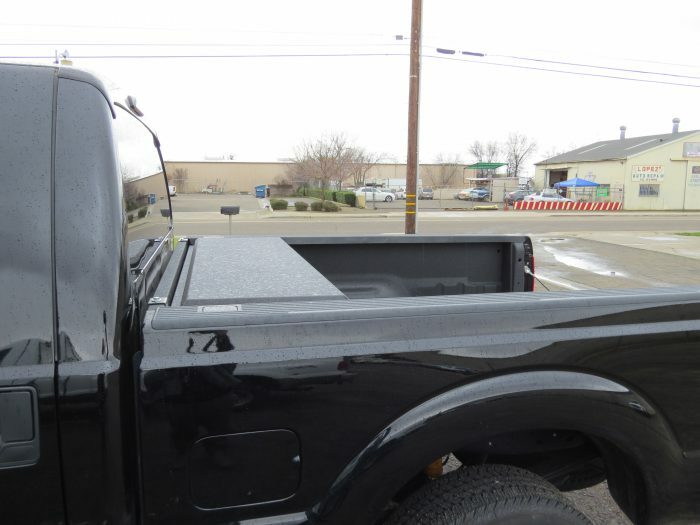 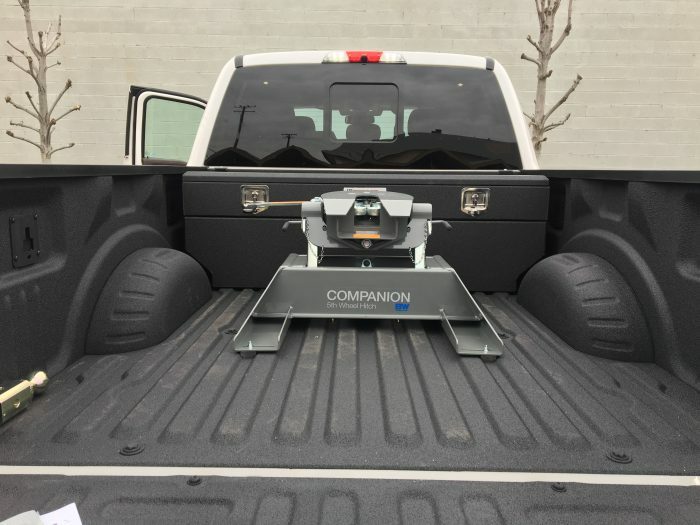 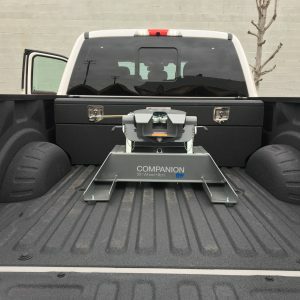 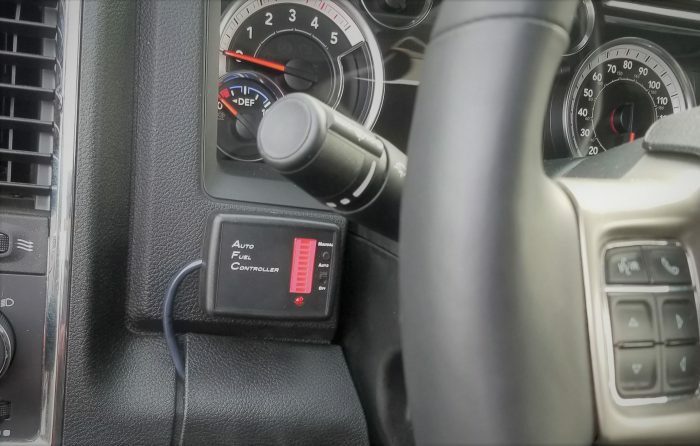 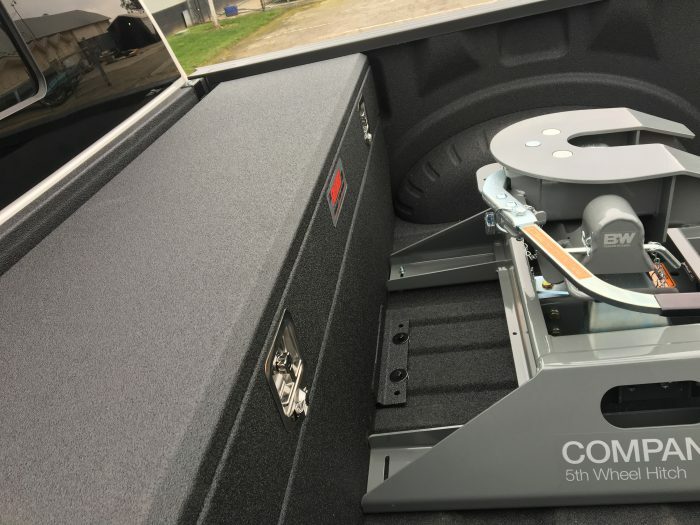 It offers the most fuel capacity for the Ford and Chevy short bed pickups, sitting flush with the bed rails and clears most gooseneck and fifth wheel hitches. 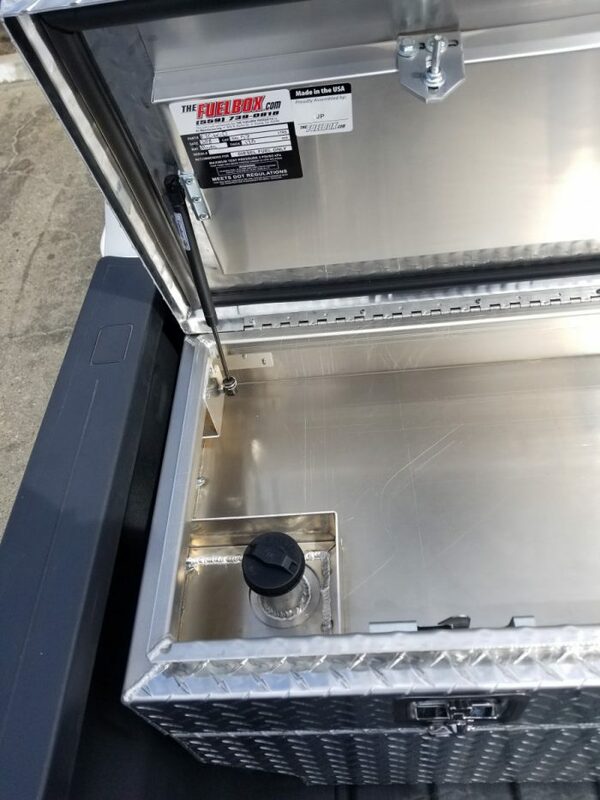 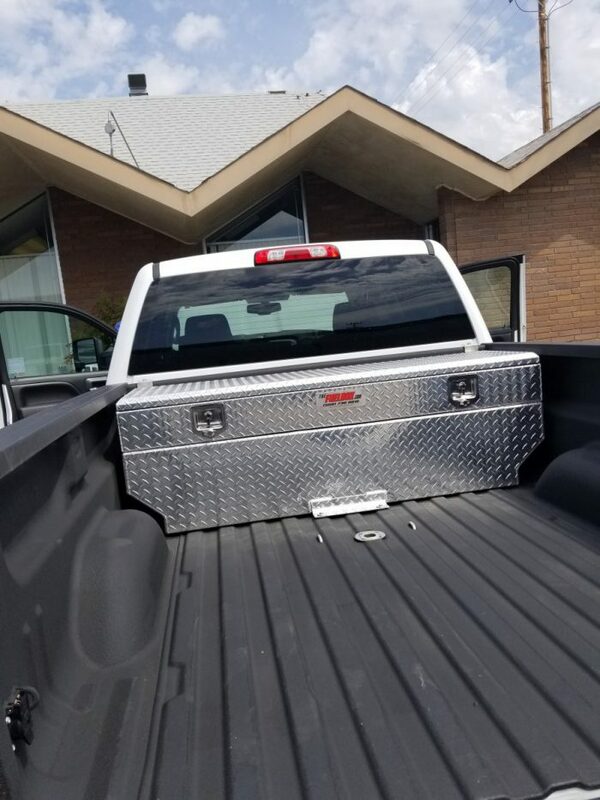 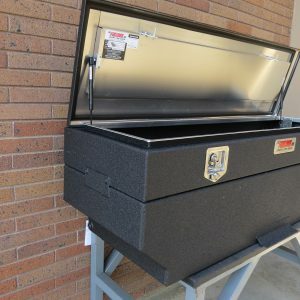 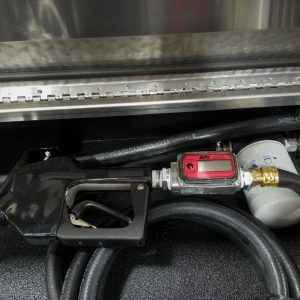 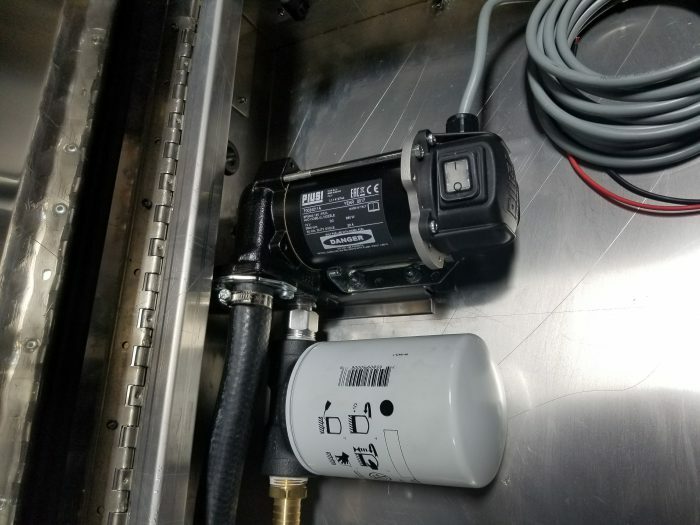 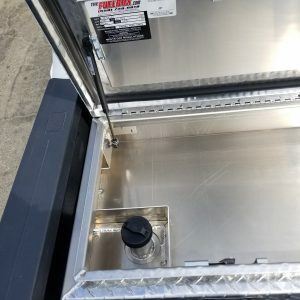 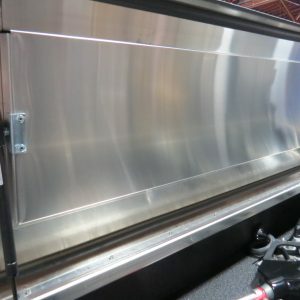 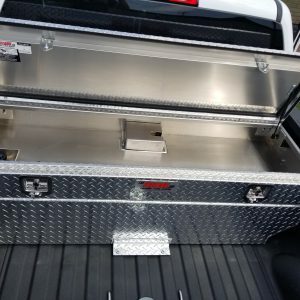 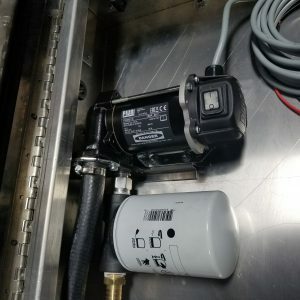 The fuel tank is constructed of high-quality .125 marine grade aluminum and has a heavy-duty lid constructed of .100 marine grade aluminum with extra large lid stiffener. 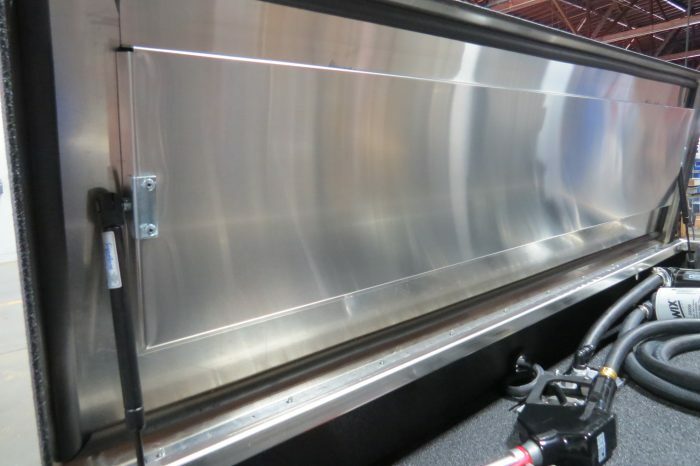 The auxiliary tank has true flange weld seam design, which doubles weld joint thickness for stronger welds. 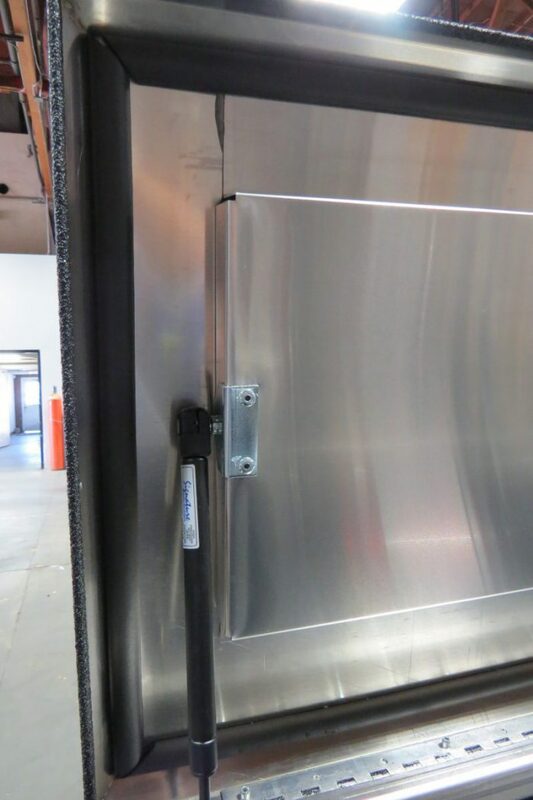 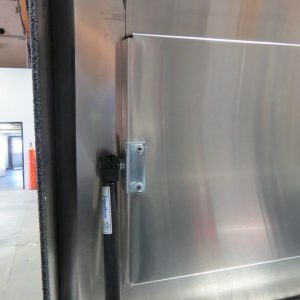 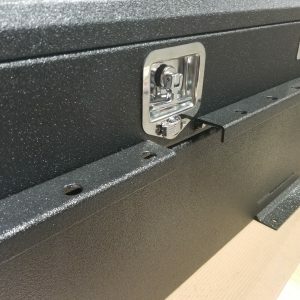 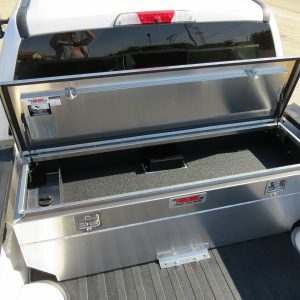 It has full lid length continuous hinge, also stainless steel latch and lock assemblies. 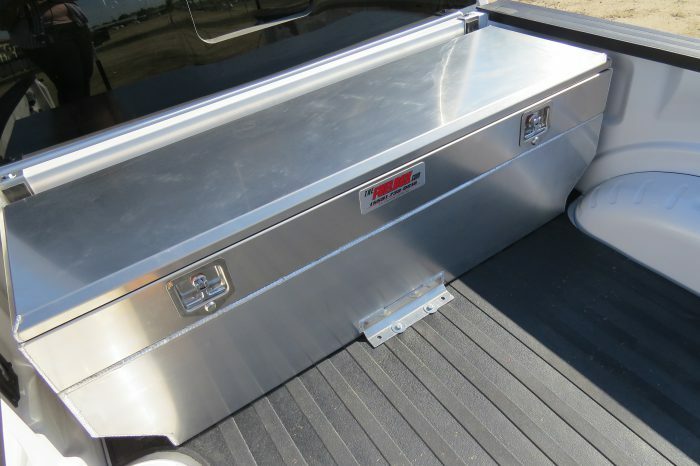 The tank has a minimum of 2 interior baffles. 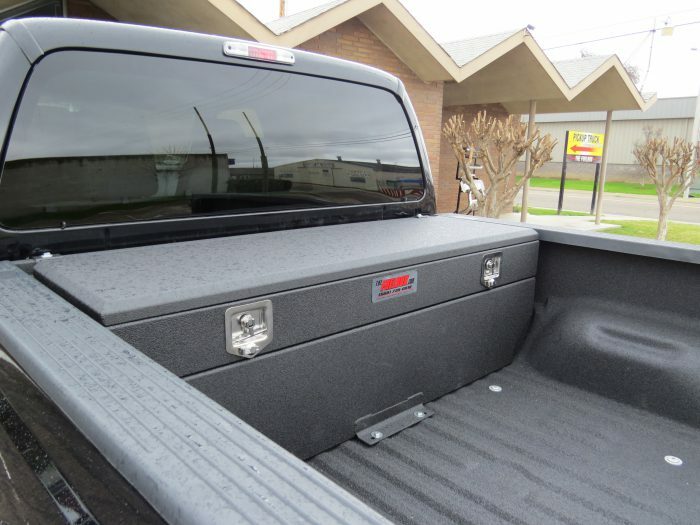 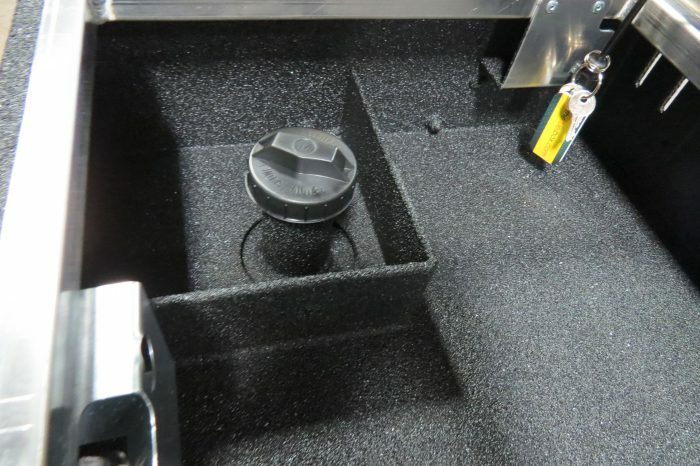 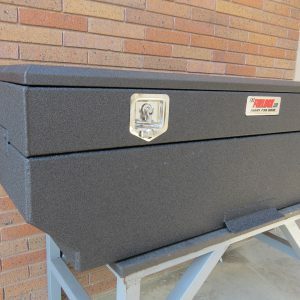 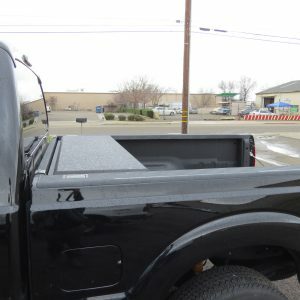 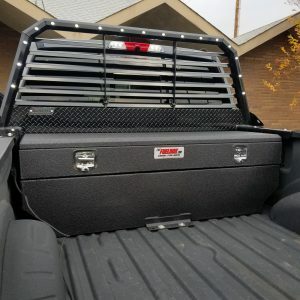 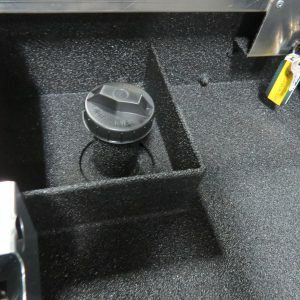 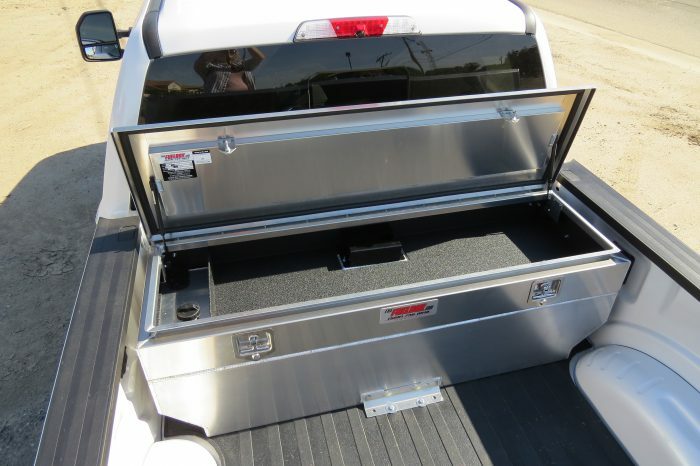 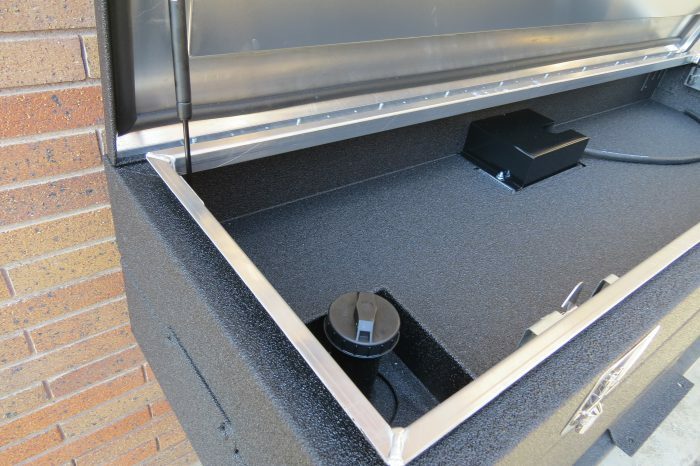 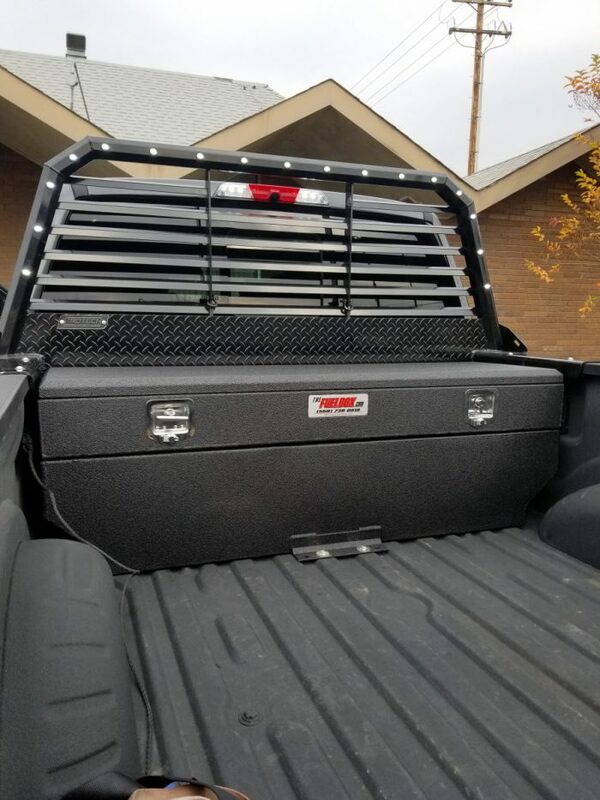 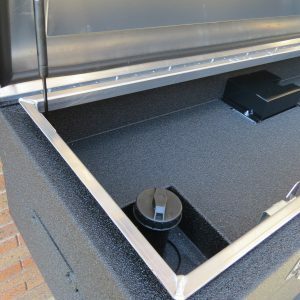 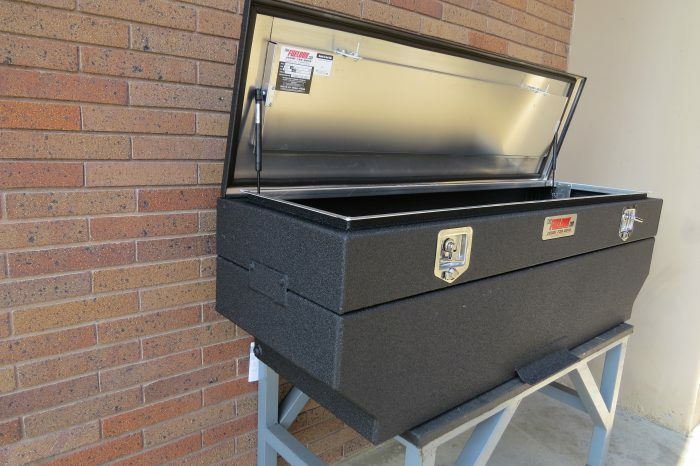 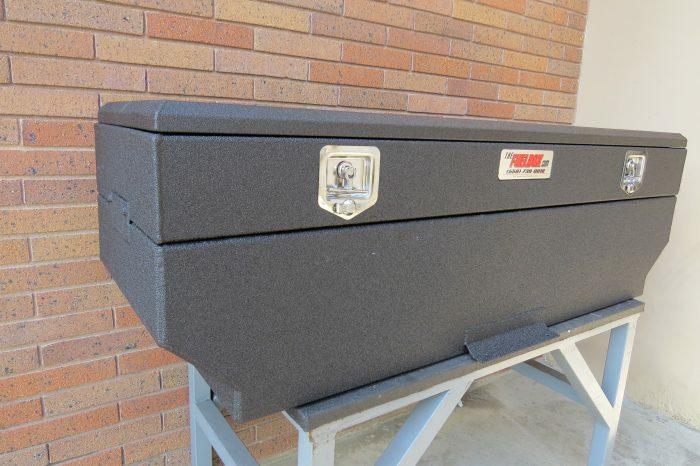 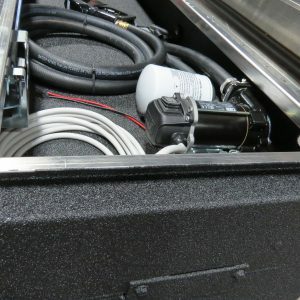 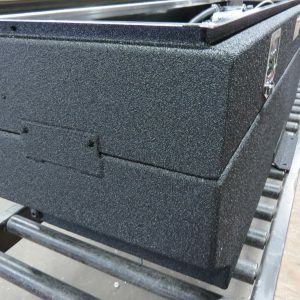 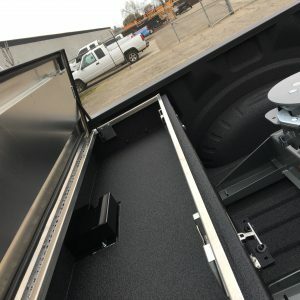 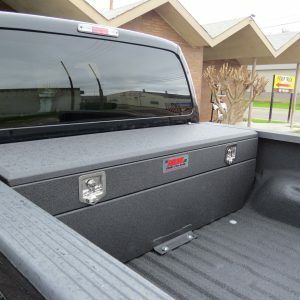 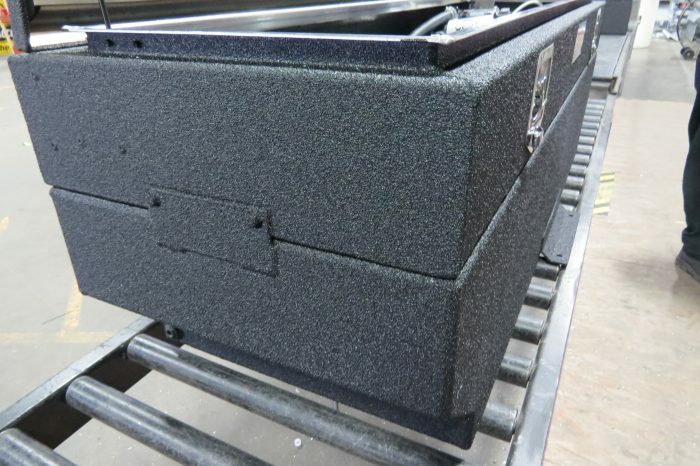 The toolbox has a unique rain channel with the neoprene on the lid that assures a weather tight seal. 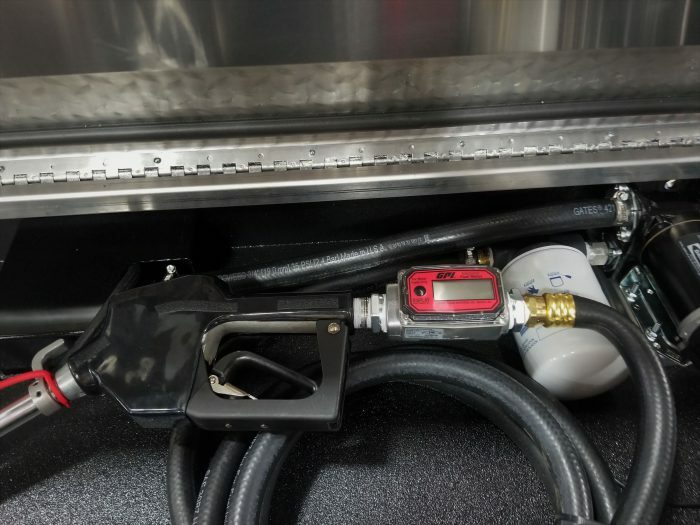 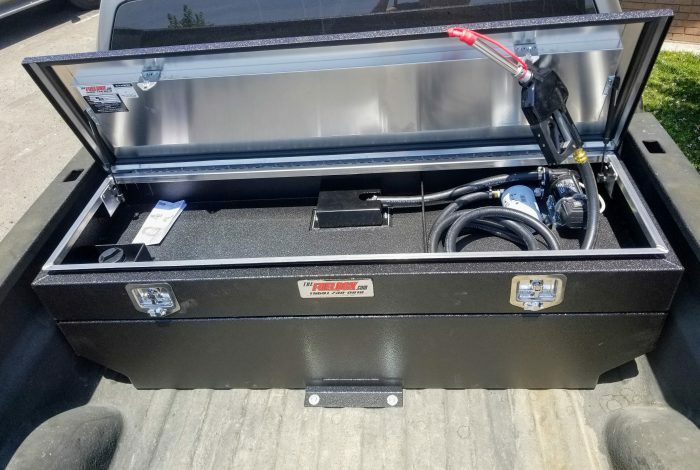 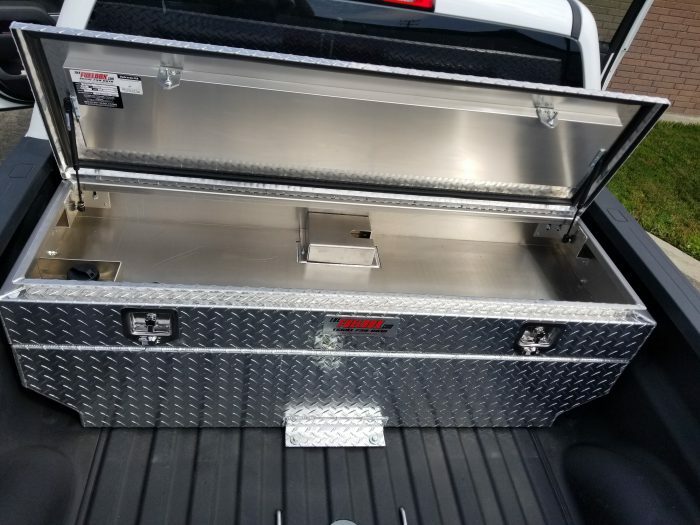 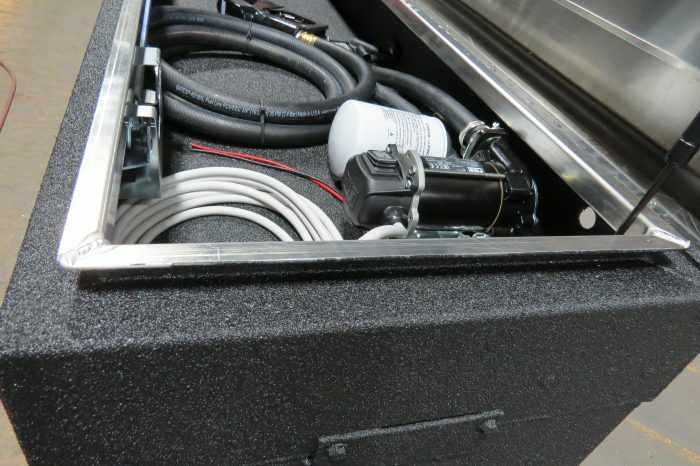 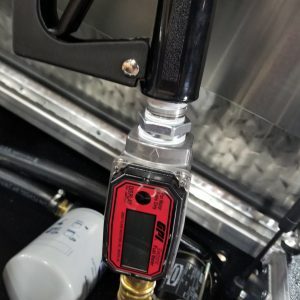 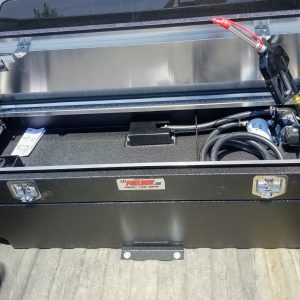 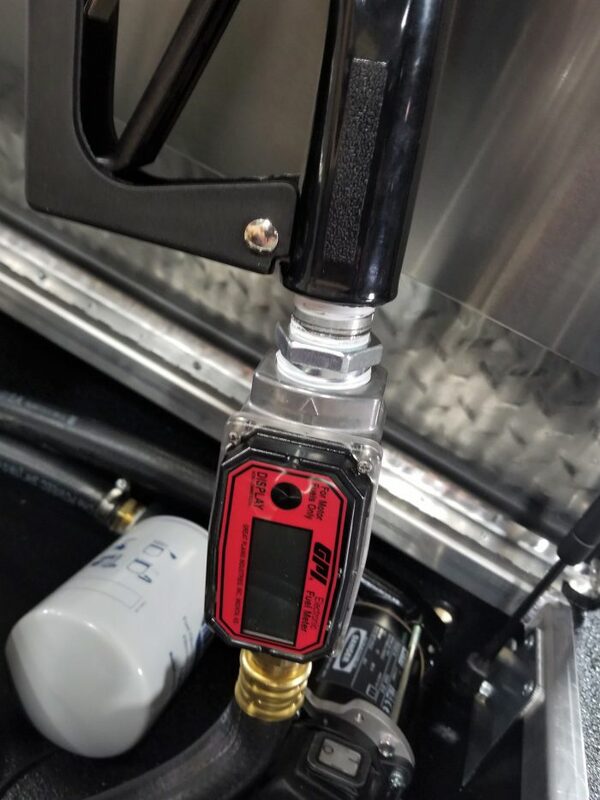 You will also find that the bottom of the toolbox is not the top of the fuel tank, adding extra strength and protection to the fuel tank.